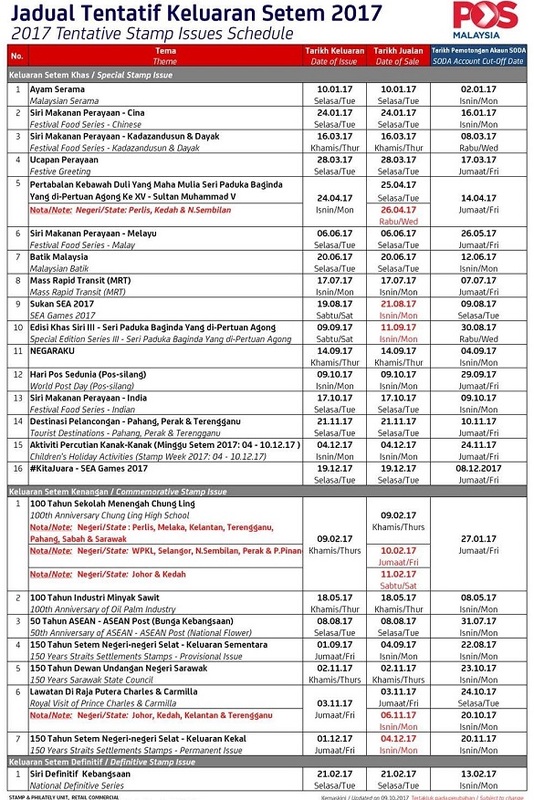 Here is the latest Malaysia Stamp Issue Schedule. The visit of the Prince of Wales and Duchess of Cornwall will be commemorated with a stamp issue. On paper the year will end with 25 issues (including the Bandung 2017 Overprint MS).